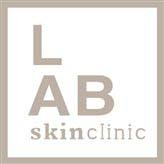 Stretch marks and cellulite treatments at LAB Skin Clinic, Neutral Bay – Call 02 9909 3602 – will help you reduce and, in many cases, totally eradicate, ugly stretch marks and cellulite so that you are left with beautifully supple and smooth skin. Stretch marks, or striae as they are called in dermatology, are a form of scarring (usually strand-like and off-white in colour) caused by the tearing of the dermis, which over time may diminish, but will not disappear completely unless treated. They pose no health risk in and do not compromise the body’s ability to function normally and repair itself. Stretch marks are often caused as a result of the rapid stretching of the skin associated with growth spurts or rapid weight changes – as with pregnancy – and may also be influenced by hormonal changes associated with puberty, pregnancy, body-building or hormone replacement therapy. Stretch marks can appear anywhere on the body but are most likely to form during pregnancy (usually on the belly), usually during the last trimester. Stretch marks appear in places where larger amounts of fat are stored… most commonly: on the breasts, upper arms, underarms, around the abdomen (especially near the navel), back, thighs (both inner and outer), and around the hips and buttocks; these are known as striae gravidarum. Various treatments are available for improving the appearance of both young and mature stretch marks, including IPL and laser treatments, Omnilux LED, multi-frequency LEDs, micro-dermabrasion, needling, topical skin care preparations, and radio frequency. CASE STUDY: Prior to her cellulite treatment, Sonia had fluid stagnation, toxin build-up, cellulite and a heavy bottom. After her program of 12 treatments, she had improved buttocks shape, almost no cellulite and improved confidence. Come in for a complimentary consultation and tell us what your concerns are, or book a more detailed diagnostic evaluation now on 02 9909 3602 and find out how you can have flawless and more youthful looking skin.